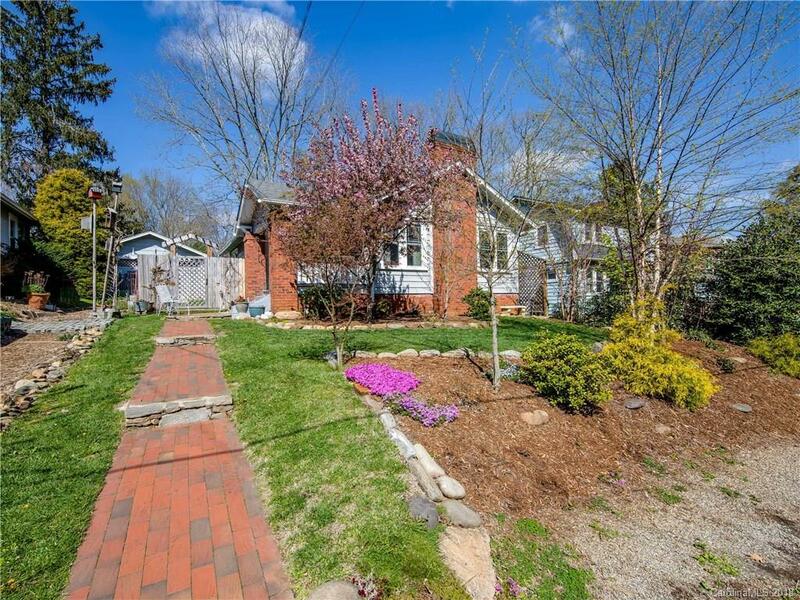 Beautifully Updated Bungalow offers a 125sf covered front porch,LRG bright LR,Open kit./dining Rm.Hardwood Floors,Fireplace, 9 ft ceil., Orig. doors/glass knobs.Updates: Windows,roof, gutters, deck, bathroom, landscaping, elec., HVAC., eco-friendly parking pad for 3 cars.180 SQFT Detached Studio w/ electric baseboard heat. Sunny outdoor living area w/deck & lovely gardens. Short stroll to Haywood Rd & all West Asheville Amenities.